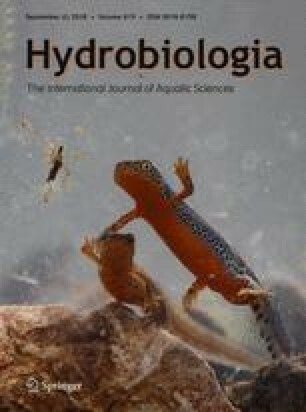 The aim of this study was to enhance current knowledge of thus far largely neglected meiofaunal–macrofaunal trophic channels in freshwater ecosystems. The strength and shape (functional response) of the predator–prey interaction between two freshwater triclad flatworm species (Polycelis tenuis and Planaria torva) and individuals of the nematode species Caenorhabditis elegans were measured in a set of laboratory experiments. We hypothesized that feeding on adult nematodes results in a hyperbolic type II, whereas juvenile prey led to sigmoidal type III functional response and that different habitat textures would affect predation success by providing refuge for prey. However, our results revealed that both flatworm species exhibited type III sigmoidal functional response curves and the smallest predator consistently ingested larger amounts of nematodes. Generally, our results suggest the existence of a strong predator–prey interaction, given that both flatworms daily ingested a significant proportion of their biomass by feeding only on nematodes (up to 30% for P. tenuis). However, P. torva was unable to process nematodes in sandy sediment, and the ingestion rates of both flatworm species were reduced in a complex litter habitat. The online version of this article ( https://doi.org/10.1007/s10750-018-3642-8) contains supplementary material, which is available to authorized users. We are grateful to Stefanie Gehner for technical assistance and to Birgit Gansfort and Benjamin Wilden for their help with the statistics. Bolker, B. M., 2014. bbmle: tools for general maximum likelihood estimation. R Package version 1.0.17. http://cran.r-project.org/package=bbmle. Pritchard, D. W., 2014. frair: functional response analysis in R. R Package version 0.4. http://cran.r-project.org/package=frair.